The concept of this project makes no boundaries between audio and visual. 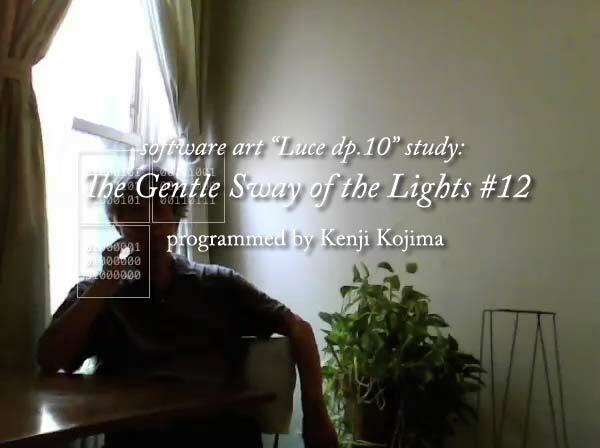 The program "Luce" captures changing lights of 48 divided image areas through a videocam then converts RGB color data of the three highest values in the areas to musical notes. The program sensor was set the most sensitive value. These studies tried varieties of measurement intervals. The picture looks like a still image, but the lights are changing slightly in every second. The program name "Luce" referred the Scriabin's "Prometheus" which score included lighting part "Luce". I am thinking that the program will be used for an installation in empty spaces like hall, and/or for a performance art. 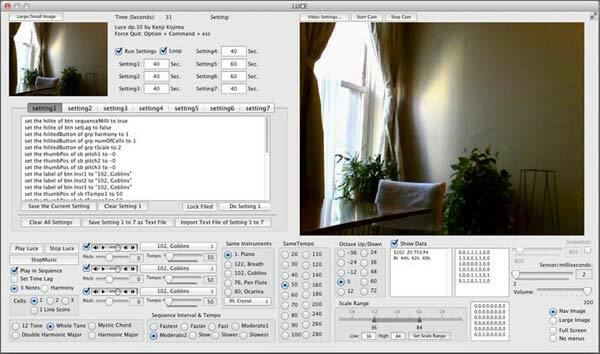 The application “Luce” is under development.